This fall Matt's Maker Space and The Grable Foundation sponsored the Matt's Maker Challenge at the Children's Museum. Students were invited to enter a contest to make a unique contraption that completed a simple task using everyday items, teamwork, humor and their imaginations. In this case it was something to pop a balloon. 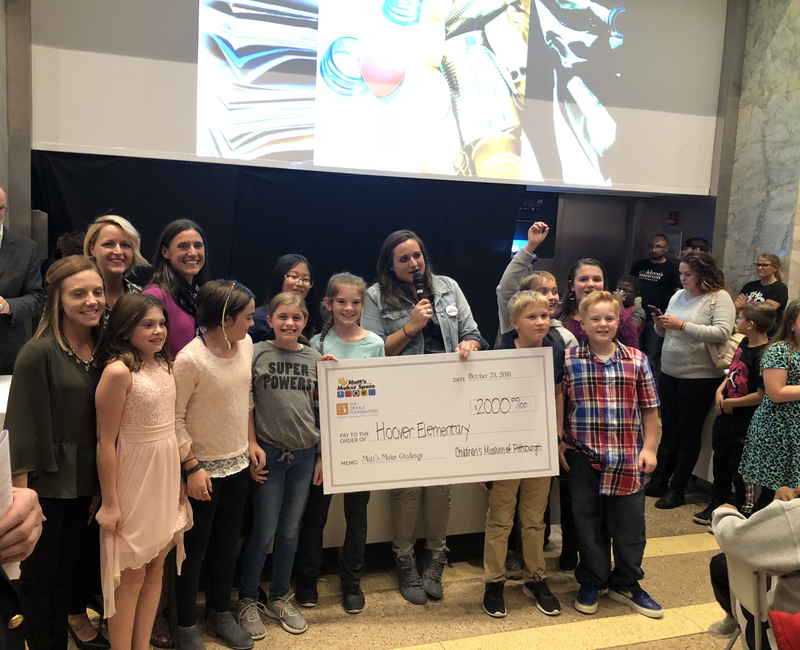 We are happy to announce that Hoover Elementary was one of nine schools who won a $2000 prize from partners, the Grable Foundation and Matt's Maker Space. Over 60 submissions were entered. The contest was held in conjunction with the world premiere of Rube Goldberg™, The World of Hilarious Invention! exhibit at the Children's Museum. Congratulations to our makers at Hoover!